BOSTON, March 6, 2019 / Press Release — Today, Marathon Brewing, a new endeavor from The Boston Beer Company, announces the launch of 26.2 Brew. The golden, hazy ale offers athletes a reward for their hard work that tastes as satisfying as their accomplishments feel. Brewed with Himalayan sea salt and coriander, 26.2 Brew provides drinkers a crisp body and refreshing finish with 4.0% ABV, 9g carbs and only 120 calories. As consumers increasingly seek wellness-minded activities and better-for-you options, 26.2 Brew was developed by Shelley Smith, a brewer, marathon runner and triathlete, to provide purpose and balance for drinkers seeking more. 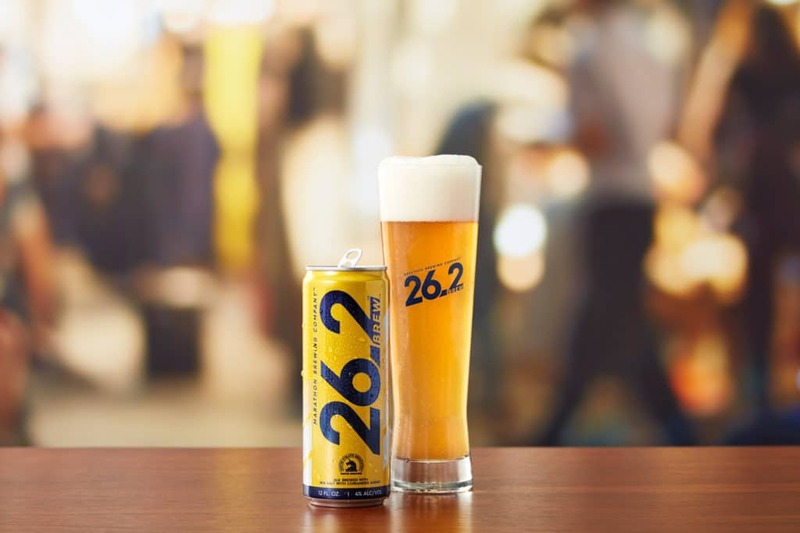 The new 26.2 Brew evolved from the original Boston 26.2 Brew, available for the past seven years in and around Bostonduring the Boston Marathon, the world’s oldest annual marathon. The 26.2 Brew packaging and national point-of-sale materials will proudly display the unique Boston Athletic Association (B.A.A.) unicorn logo, the symbol of the Boston Marathon, epitomizing respect and appreciation for the incredible achievement and dedication of marathon running and of the B.A.A.’s long history as “The Marathon.” 26.2 Brew will be the official beer of the Boston Marathon, enjoyed by thousands of runners and spectators at events leading up to and on race day. In addition to the Boston Marathon, Marathon Brewing will sponsor select marathons nationwide, including the Los Angeles Marathon, the OC Marathon and the Myrtle Beach Marathon as well as have a presence at additional races throughout the country. 26.2 Brew is available nationwide in stores in six-pack bottles (SRP $9.99), 12-pack slim cans (SRP $16.99–$18.99), 24-oz can (SRP $2.99) and on draft. Prices vary by market.